Sorry for the delay in getting this posted, it's all been very busy! This Saturday 3rd we welcome Professora Bia as a guest teacher to give a workshop from 11:00 - 13:00 at Community Hall Donegall Avenue, Roussillon Park, Chichester, PO19 6DF. After this, we can all go and have lunch together. Sunday 4th is the Get Active Festival in Oaklands Park. We will have a stand there, the event is from 12:00 - 16:00. Please wear your abada, and capoeira t shirts if you have them. It'll will be a great chance to show our group off to Chichester and help it grow! I am pleased to announce that Mestrando Primo will be giving our annual end of January workshop! More details to come, but keep the Saturday 28th January free! We will also have our annual end of May workshop on the last weekend of May. More details to come, but it will be on Saturday 27th or Sunday 28th May. Also, keep the first weekend of August free. It will be our first festival, and a chance to get your first coloured cordas. Again, more details will come soon! We will finish with a video that popper up into my wife's feed, and in her own words "By a long way the best Capoeira film I've ever seen"
Firstly, welcome to anyone who's found us through google, having been inspired by the Olympics to take up a new sport! Your first capoeira lesson is free, so come along and give it a go, you've got nothing to lose! Whether you choose to start a new sport with us, or go elsewhere, you might find these tips on getting started with exercise useful. You can now pay for classes via bank transfers, more details here. This could save you money - over £145 per year! We're a fortnight away from our capoeira weekend in September - workshop with Professora Bia on Saturday 3rd, and the Get Active Festival on Sunday 4th. You can now pay for your classes via BACS transfer or a standing order. If you want to BACS a lesson, the cost is the same, £6 for adults and £4 for children. You can do this from today - ready for tomorrow's class! For those who come every week though, your dedication can pay off! For a regular monthly payment, you could save as much as £146.57* per year. This offer commences in September, but you can pay for September from today. Pay £20 per month and come to one class a week (save £72.86). Pay £40 per month and come to both classes each week (save £145.71). Pay £12 per month and come to one class a week (save £64.86). Pay £24 per month and come to both classes each week (save £129.71). Obviously, there need to be some terms and conditions for paying via a bank transfer. Firstly, whether paying for individual lessons, or a monthly payment, please use your name or apelido (capoeira name) as a reference so I know if you have paid. If you are unsure how to do this, talk to your bank. Individual lesson payments: these should ideally be paid before the lesson itself, however, there is a bit of grace with this, and you can pay in the days that follow the lesson. You cannot have more than two lessons' grace without speaking to Graduado Kung Fu (aka David Wood) first. Should you pay for a lesson, and then not be able to make it, you can either keep that as credit for a future lesson, or a refund can be given. Standing orders need to be in by the first of the month, but they can be made before the first. You can make a BACS transfer, but a standing order may be more convenient for you - you can set it to automatically come out on pay day. These can be cancelled at any time, and you are not committing to any minimum length of time with these payments. If you were to miss a class, then you would not get a refund. However, if a class were to be cancelled, you can choose whether to have a refund, or whether you would like to donate the money to the group (a reminder that this group does not operate for profit - any money made in excess of expenses gets put back into paying for publicity and resources for the group). If you would like to take advantage of any of these ways of paying, please let me know, and I will give you the sort code and account number. *Savings have been calculated based on the average number of lessons in the year. For those who are at Kung Fu levels of geekery, this includes whatever day of the week the year starts on; whether or not it is a leap year; and specifically for the next 28 years, because in 28 years the calendar for 2016 will repeat itself. This does make a difference. If you assume an even distribution of starting days then your average saving for both classes is £146.57. This might sound better than £145.71, but it wouldn't be honest. Both classes: A leap year that starts on a Monday. Monday classes: A normal year the starts on Saturday, Sunday or Monday or a leap year that starts on a Monday, Friday or Saturday. Thursday classes: A normal year starting on a Tuesday, Wednesday or Thursday or a leap year starting on a Monday, Tuesday or Thursday. Working this all out would have been quicker if I knew how to code, and didn't do a lot of the working out by hand. My friend Simon Painter nominated me in the 22 push up challenge. -Video yourself doing 22 push-ups. -Post the video to Facebook/YouTube. -Feel free to challenge anyone to take up the challenge. The challenge started in the US, where a report indicated that the rate of suicide amongst US veterans could be as high as 22 per day. The point of the challenge is to raise awareness of post traumatic stress disorder and suicide, especially amongst veterans of the Armed Forces and their loved ones. Did you know, for example, that the largest cause of death amonst men under 45 in the UK is suicide? The latest UK data shows an increase in the rate of suicide in women. Too many people are taking their own lives, and together we can help reduce this. Whilst the challenge is to do 22 push ups, like many people I intend to do 22 push ups a day for 22 days. I also intend to take it up a level by both doing a different push up variant each day, and to mention a charity or organisation that helps people with their mental health. This will highlight 22 avenues of support available for those who may need it. Nobody needs to suffer in silence - help is out there. 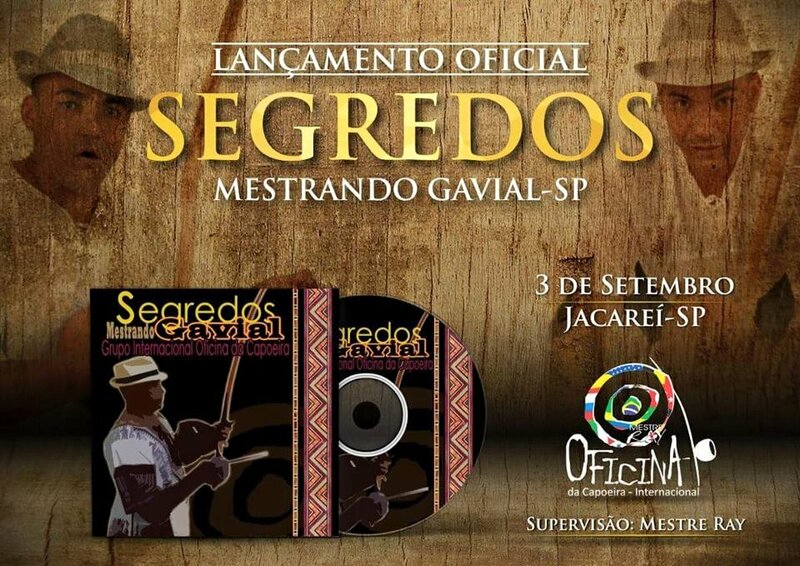 A new CD from Oficina da Capoeira will be available in September. We'll be making sure we can get some in the UK. The cost will be £20 at most (depends on shipping etc.) Let me know if you would be interested in a CD and I'll let Mestrando Primo and Instrutor Lua know the numbers and we can see what the actual price will be. A reminder that we have a big weekend coming up in September. On Saturday 3rd September we will have a capoeira workshop with a guest teacher, Professora Bia, which will help to raise money to support her family. Sadly her sister in law was raped and murdered in Brazil, and the money raised will help to support her brother, niece and nephew who are relocating after the tragedy. The workshop is from 11:00 to 13:00 at Community Hall Donegall Avenue, Roussillon Park, Chichester, PO19 6DF. The next day we will have a stand at the Get Active Festival, from 12:00 to 16:00 in Oaklands Park. This will be a great chance to let everyone in Chichester know our group and to help us grow, and it will also be a chance to have some fun at all the other stands. We'll finish with an historic video from Estagiaro Rad from Oficina da Capoeira, Bristol. 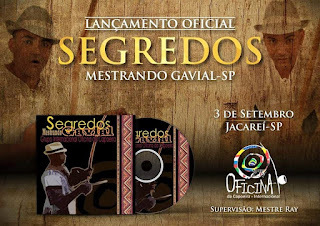 It's from 2010, and the batizado in which he received his orange corda. September will be kicking off with a capoeira filled weekend. On Saturday 3rd September we welcome Professora Bia as a guest teacher to give a capoeira workshop. The venue is awaiting confirmation, and it will be from 11:00 to 13:00. Afterwards, we will go out for lunch together. The workshop will cost £10, and any profit will be going towards helping Professora Bia's family. Tragically, her sister in law was raped and murdered, and her brother and niece are relocating from their neighborhood, which they cannot afford to do on their own. To find out more about this, and to help, please go here. One of the things that drew me to capoeira was the great sense of community I felt, both in Oficina da Capoeira with Mestrando Primo, Nego Lua and students, but also when visiting other groups. Coming together as a community to help seemed the least we could do. Muito obrigado. On Sunday 4th September, 12:00 to 16:00, we will be at the Get Active Festival in Oaklands Park. It's a chance to shout about capoeira to Chichester. If you can't make the full four hours, just an hour or two sitting at the stand would help! The event's free, and you can have a wander around too. After the event, we could go for a drink and maybe some food. Our roda video this week has number of people playing, but starts off with Professora Bia in action! Our usual venue has been double booked this evening (the booking was made long before I got our regular booking in). Tonight's class is at the same time, 19:30 - 21:00, but will be at the Swanfield Community Centre. There is car parking available there. We'll be back to our regular venue from next week.